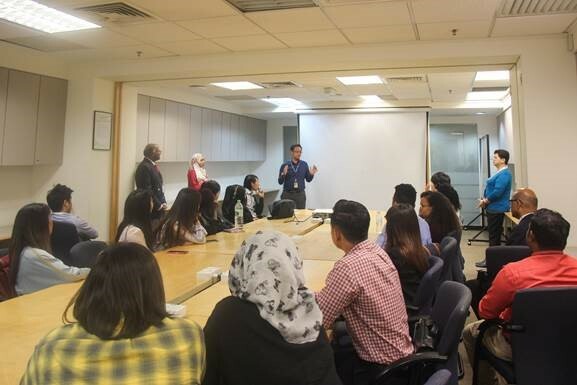 As part of their out-of-classroom learning experience, 24 students from the Tourism Management programme organized a visit to Skytrex, Shah Alam recently. The group was made up of Year 2 students from Japan, Uzbekistan, Kazakhstan, Pakistan and Seychelles. 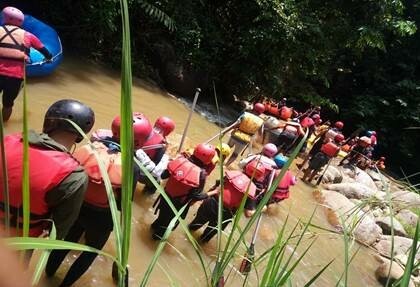 While the students discover the real retail travel environment and operational practices such as tour arrangements, marketing, pricing strategies and costing, they also experienced the facilities themselves and underwent unique challenges like ziplining, swinging, climbing at the jungle canopy adventure park. It was a memorable experience for students who participated in the tour, as they gained practical knowledge of travel operations while enjoying Adventure Tourism themselves. Q: What did you do on the programme? How was the experience? 1. Online Preparatory phase: A preparation phase that introduces the topic and concept of the whole program to the participants through online webinars, additional reading materials, and conversation through email. 2. On-Site Programme: A 2-week program that took place in Slovenia and Croatia in September 2018. 3. Follow-Up phase: A 4-week ongoing feedback session about the whole experience of the program. The on-site program took place in five towns and cities across Slovenia (Ljubljana, Portorož, and Piran) and Croatia (Poreč, and Zaghreb). 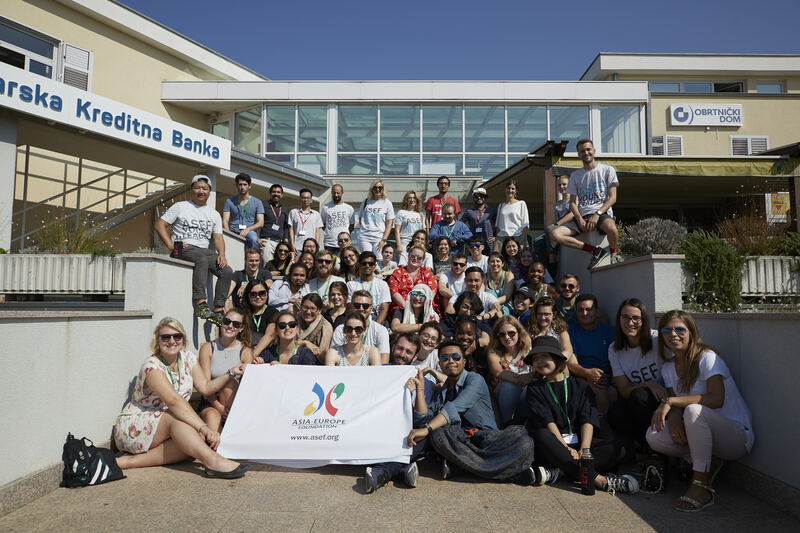 It was attended by a total of 48 participants from 47 countries across Europe and Asia, lead by 4 organisers in partnership with Hosteling International (HI). During the 10-days programme, I, along with all the other participants, attended lectures and workshops that were hosted by different professional bodies in regards to the theme of ASEFSU22 this year. In addition, we also had the chance to explore Slovenia and Croatia from the eyes of the locals through a guided tour provided by the organisers. The main project of the program was to come out with a proposal in a form of a case study to answer the question of "How Can Hostelling International Achieve Completely Disposable Plastic-free Hostels?" Along with 5 other team members, we worked on the proposal and presented our idea on the last day of the programme itself. Q: What was the selection process of the programme? The selection process starts with applying through their online application, and ASEF will email their shortlisted participants to schedule for a Skype interview. Afterwards, they will then again email the shortlisted participants stating if they were chosen to take part in the program or not. Once chosen, ASEF advised successful candidates to go for the next step such as looking into flight tickets and visa requirements. I was selected as a representative of my country, Brunei Darussalam – being an undergraduate student who is studying in the field of tourism which includes sustainable tourism has inspired my interest to explore this programme and learn more about sustainability across the globe. Q: What did you learn most from your trip? The programme was attended by so many different people coming from different backgrounds as well as different professions, I learnt something new every day. Talking to different people every day gave me the chance to further broaden my mind regarding the issues of the world. In relation to the programme itself, it was fascinating to see different views and opinions from different people that I could hardly think about. The programme as a whole allowed me to see the world from a different perspective, in which the world today is indeed polluted with waste and corruption. We, as future leaders of the world, have the responsibility to change and make the world a better place. The programme served as an initiative to change the minds of the people today to live on a healthy planet. This program also allowed me to exchange ideas with other participants, both academically and personally. Q: How did the trip change you thereafter? Due to the theme being sustainable development, one of the challenging tasks given to participants was to live sustainably by reducing single-use plastic usage along with other plastic-related items for the whole month of September. Before the trip, we were advised to bring our own water bottles and use other substitutes instead of using single-use plastics. Therefore, during the whole trip, I have lived sustainably by not using single-use plastics which includes bringing my own water bottle. In addition to the lectures and workshops, the trip was an eye-opener to realizing how harmful plastic is to the environment. Coming back from the trip has definitely changed my habits towards plastic usage by opting for re-usable bags for shopping, using water bottles to drink from, reducing the use of paper by going digital in my studies unless there is a need for physical submission, and more. To date, although the programme has ended a few months ago, I am still trying to reduce my plastic and paper usage as much as possible. Q: What are your advice to APU students after undergoing this trip? My advice to APU students and everyone, in general, is to understand the harmful effect of plastics. APU provides water dispensers in the university for free, students should take advantage of that to refill their own water bottles instead of buying plastic water bottles which will cost you much more than investing in a water bottle. We are the generation that is going to live on this planet, therefore, we need to sustain it as much as possible. Let's all join hands together to save our home. As we board an airplane, little do we know that a vast amount of resources are involved at an airline’s operations control centre to ensure the smooth operations of flights, 24/7. 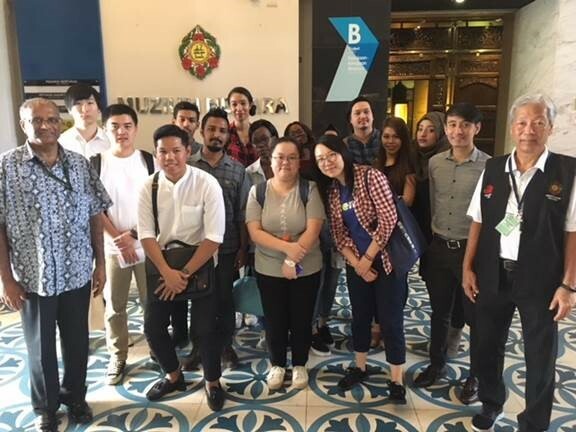 20 students from our BA (Hons) in Tourism Management programme, accompanied by 4 lecturers, recently had the opportunity to visit the Malaysia Airlines Operations Control Centre, located at the Kuala Lumpur International Airport (KLIA). At the trip, they met Capt. Reza Abd Rahim of Flight Operations and Ms. Serina Hor, Senior Executive of Emergency Management Operations on-site, as they were briefed on the standard operating procedures (SOP) and day-to-day challenges faced by the operations staff. Apart from an exclusive tour to highly-sensitive areas at the OCC, the students also met Capt. Hamdan Che Ismail, the Director of Flight Operations at Malaysia Airlines who shared briefly on his valuable experiences gained from the industry. The visit was an eye opener for both lecturers and students who participated; through the trip, the students gained an overview of the concepts and implementation of airlines management and operations, in which these can be translated into useful domain knowledge that will benefit them in their future tourism careers. We look forward to seeing visits like this, that expose students towards the practical experiences that are relevant to their future careers. 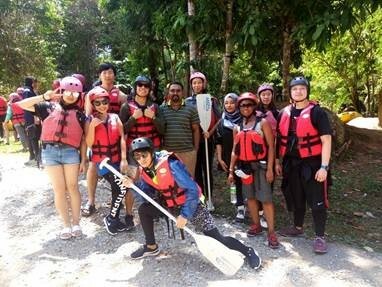 The Tourism Management students from School of Marketing and Management (UC2F1801TRM) successfully conducted another “Adventure and Extreme Sports Tour” to Ulu Slim for White Water Rafting, in which the planning, execution and management of the tour were done by the students as part of their out-of-classroom training for the Retail Travel Operations module. Through the exhilarating trip, students acquired the retailing skills in travel operations; upon the completion of the tour, they now have knowledge in arranging attractive tour packages and grasping the real notion of adventure and extreme sports tourism, while understanding the overall landscape of the retail tourism industry. A total of 32 students were their “customers” this round, where the organizing committee learnt how to deal with customer expectations, purchasing and selling of tickets, reservation of seats – all these provided them with a practical learning experience that is required for successful tour operators in their careers. 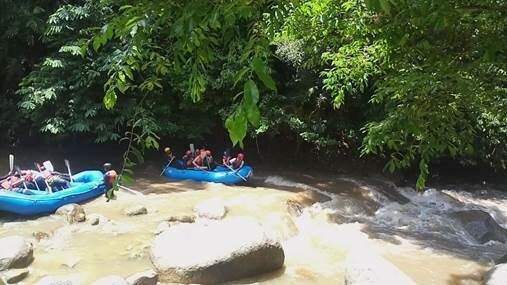 The White Water Rafting site is located only 1 hour 30 minutes from Kuala Lumpur near Ulu Slim village. Along the journey, the participants enjoyed and relaxed their mind with the beautiful hills and the serene environment of the aborigine’s village. This tour boasted many exciting features and activities and perfect for those who want to escape from the hustle and bustle of city life. Moreover, it provided a truly remarkable experience and the best extreme exposure for the participants. Overall, this trip allowed participants to gain great experience and invaluable practical knowledge. The participants for the tour were APU students from various countries such as Seychelles, China, Brunei, Japan, Nigeria and Yemen, who came together and made this tour lively and successful. In order for one to be successful in the tourism industry, an in-depth understanding of tour locations and its history and geography are required. In view of this, the Tourism Management students from the School of Marketing and Management (SOMM) recently conducted an “Adventure and Recreational Tour” to the Tempurung Cave and Kellie’s Castle, two of Perak’s most popular tourism destination located near Ipoh – the capital city of the state. Tempurung Cave, known as the oldest cave in Malaysia and this natural wonder is situated in Gopeng, Perak. This cave is lauded as the largest limestone cave in Peninsular Malaysia. Meanwhile, Kellie’s Castle is an unfinished and ruined mansion. It was built by a Scottish planter named William Kellie-Smith. This old building is now a popular local tourist attraction with its own majestic look. Boasting many exciting features and activities, both places are perfect for those who want to escape from the hustle and bustle of city life. 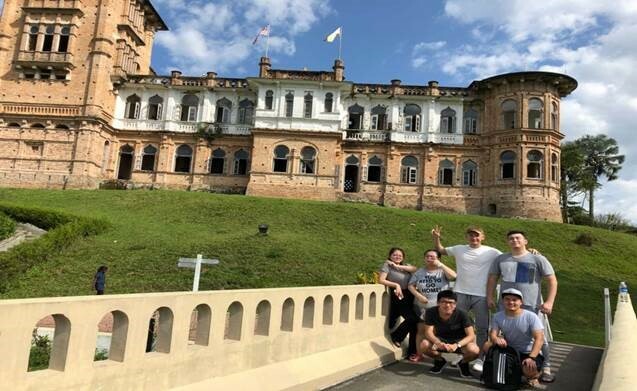 Trip to Gua Tempurung and Kellie’s Castle had provide a truly remarkable experience and the best exposure for the participants. The main objective of this trip was for Tourism Management students to learn the retailing skills in travel operations. After the completion of the tour, the students have acquired the skill to arrange attractive tour packages and grasped the real concept of adventure and heritage tourism. This tour has also benefited the tourism students in terms of understanding the business strategies behind tour operations. Overall, this trip has allowed participants to gain great experience and invaluable practical knowledge. The participants for the tour were APU students from various countries such as China, Uzbekhistan and Kazakhstan who together made this tour energetic and successful. 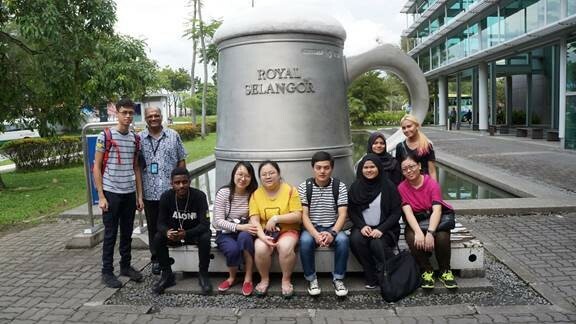 Tourism Management students from APU recently organized an excursion to the National Museum, to explore more about history and archaeology in Malaysia. The group was fortunate to have Capt. Lee EK, a retired pilot from Malaysia Airlines and now a volunteer for the museum, to bring them around for a 2-hour walking tour. 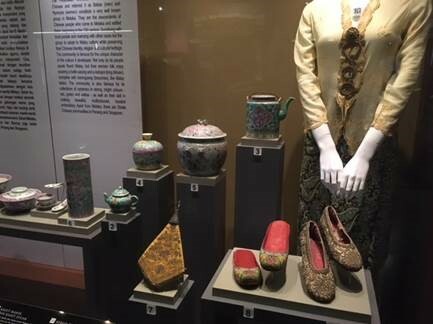 Under Capt Lee’s interesting elaboration of stories of the past, students enjoyed the trip down memory lane and explored the history of Malaysia at the four galleries – Prehistory Gallery, Malay Kingdom Gallery, Colonial Era Gallery and Malaysia Today. 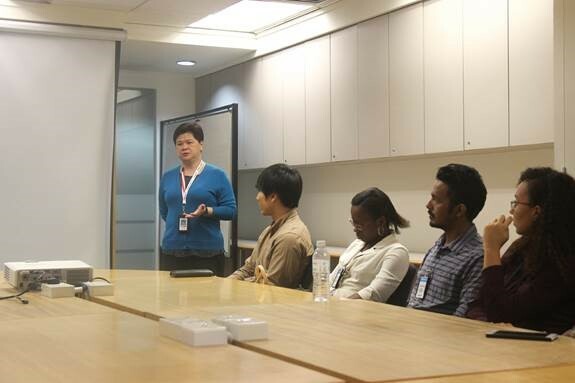 Through an exciting and innovative approach, Capt Lee guided students through the stories about the Malayan Emergency, the struggle for independence, the formation of Malaysia, the political system and the economic development of Malaysia. History does not need to be boring; our students enjoyed the excursion and became more interested in learning about history. These knowledge are beneficial for them, the aspiring tourism professionals of the future. The best way to learn something is to experience it. 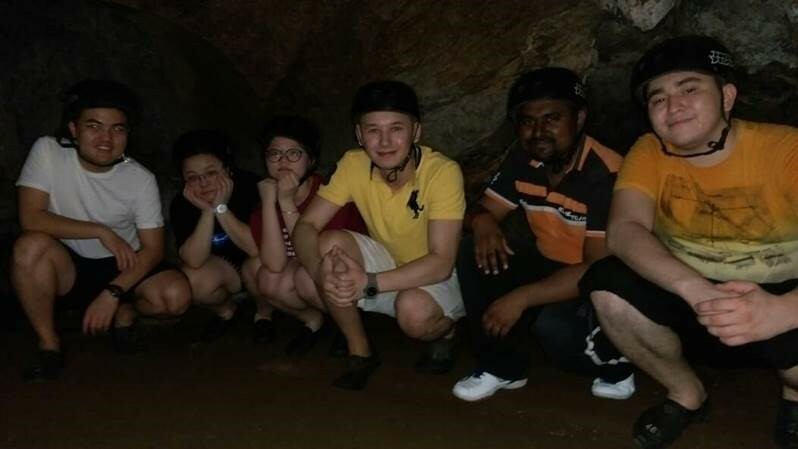 In view of this, International Students & Tourism students from the APU School of Marketing & Media (SoMM) embarked on a field trip to Dark Caves and Royal Selangor, to discover nature, learn about geography and experience real-life tour centre management recently. 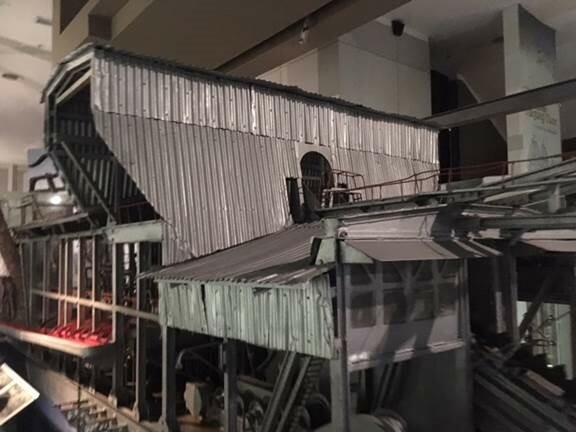 The students had a wonderful and enlightening experience, as they discovered something new; for instance, at Royal Selangor, they discovered the tin mining history and they were thrilled to know that Malaya was the largest producer of tin. Besides, the ecological significance of Dark Caves, that houses an ancient animal community of 100 million years old, including 200,000 bats of different species, amused the students and enhanced their awareness of nature preservation. 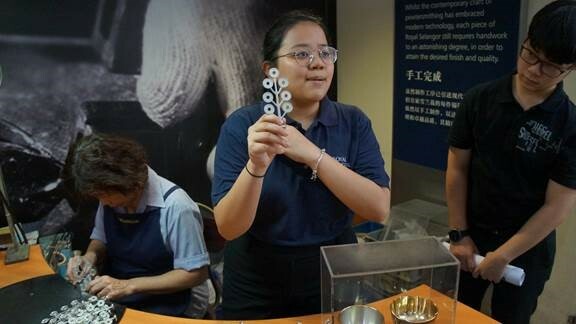 As the students walked through the magnificent cave formations – stalactite, stalagmite, flowstone, cave pearls, cave curtains, column and gour pools as well as witnessing the pewter making process, each of them returned with their own amazing story to tell. Field trips like this that enables students to experience and learn at the same time is one of the most effective way to enhance knowledge discovery and application. At the end of this trip, we sincerely hoped that the knowledge gained are able to lead to open mindsets and better general knowledge among our students. 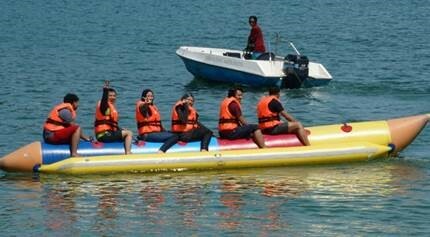 Here comes another unforgettable experience, created by students from the UC2F1704 Intake of the BA (Hons) in Tourism Management programme, under the APU School of Marketing and Media (SOMM). We are delighted to share with you that the students successfully conducted a tour to Skytrex, Shah Alam under the theme of “Adventure Tourism”. Skytrex, Shah Alam Adventure Park is an unusual high elements jungle canopy adventure park situated within the Shah Alam National Botanical Park. Altogether about nine students and a lecturer participated in this tour. The main objective of this trip was to put into practice the overall tour management which includes pricing strategies, costing, marketing and organising a proper tour for the APU students. It definitely proved to be more effective than just learning through theory about tour arrangement. Overall, it was a great experience and invaluable knowledge was gained from this adventure tour by the students. Moreover, the participants had a chance to self-experiment and test both their mental and physical strength, as well as confidence through challenges such climbing, walking, swinging and zipping as high as 22 metres from the ground. Congratulations to the Tourism Management students in organizing an effective adventure tour! As part of the Sports Centre Management and Sports Tourism module, APU School of Marketing & Media organized an excursion for students of the BA (Hons) in Tourism Management programme. The group visited the Royal Selangor Club (Sports Annexe) in Bukit Kiara. As part of their visit, club executive, Ms. Venny, provided an extensive briefing on the club’s structure, membership, activities and patronage, followed by a walkabout that demonstrated the facilities of the 133-year-old club. The visit provided students with first-hand experience, knowledge and understanding of the overall management and operations of a sports club. As we all know, classroom learning aims to provide an overview of a subject matter and its theories; whereas out-of-classroom experiences are proven to be effective ways to enrich students’ learning experiences. 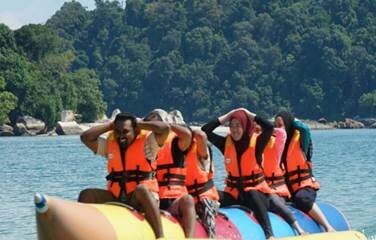 As part of their curriculum, students of intake UC2F1701 who were under the BA (Hons) in Tourism Management programme by School of Marketing and Media (SOMM) recently conducted a tour to Pangkor Island. It was a practical assignment of the Retail Travel Operations module, in which students were required to discover the real-life retail travel environment and operational practices, as well as the challenges within the industry, ranging from pricing, marketing to supplier costing. They were given the opportunity to conduct the A-to-Z processes of crafting and implementing a tour package, in which these processes were similar to practicing tour operators in the industry. The students attained positive feedbacks from their peers, who were students who participated in the tour. It was an enormous gain for the students, as they were exposed to the extensive tour-planning and operational processes through this experience. Now, they are ready to set foot within the industry – may we wish them all the best as they progress through their careers in the future!